In more than four decades of writing about sports, I have found that the most consistently debated topic is what constitutes greatness. The Undefeated has been exploring the subject over the past few weeks as it unveils the results of a public poll of the 50 greatest black athletes of all time and will reveal the top 10 on Aug. 8. What goes into making greatness? Heroic feats? Longevity? Pioneering? Activism? Over time I have developed a standard of greatness that has more to do with versatility, unwavering self-confidence and the ability to consistently come through at the moment of truth. My criteria are not based on statistics and numbers. Not about who has the prettiest shot or scores the most touchdowns. My criteria center on whom would I trust in a do-or-die competition? Whom would I trust with my life? Here’s the challenge: Imagine you have been invited to participate in a winner-take-all competition. You don’t know the rules. You don’t really know the nature of the competition. All you know is that the competition will be grueling and will require all attributes associated with greatness: strength, toughness, determination, competitiveness and skill in a number of areas. Although the athletes won’t know the nature of competition until they arrive, know that the competition will combine the most grueling elements of shows such as Survivor, Big Brother and The Amazing Race. They will be required to run, climb, scale, carry and engage in an event not unlike wrestling. Some events will require individual athleticism, and some will require a team effort. The point is that you select five athletes, confident that whatever the rules of engagement, each will meet the challenge. This is a measure of greatness that goes beyond a single sport. Given these parameters, which five athletes, in their prime, would you bring to the competition? They can come from any era; the only requirement is that the five cannot be a team of all men or all women. And you can’t select anyone I have chosen. After Tom Brady’s Super Bowl performance last February, I made up my mind that the New England Patriots quarterback would be one of my five. The Patriots were down 28-3 to Atlanta, but Brady convinced his teammates that they had a chance to win. They did, in historic fashion. Brady is a winner, for sure. He is also the kind of teammate who finds a way out of no way — and gets everyone to buy into his vision. His mantra is that it’s never over until it’s over. 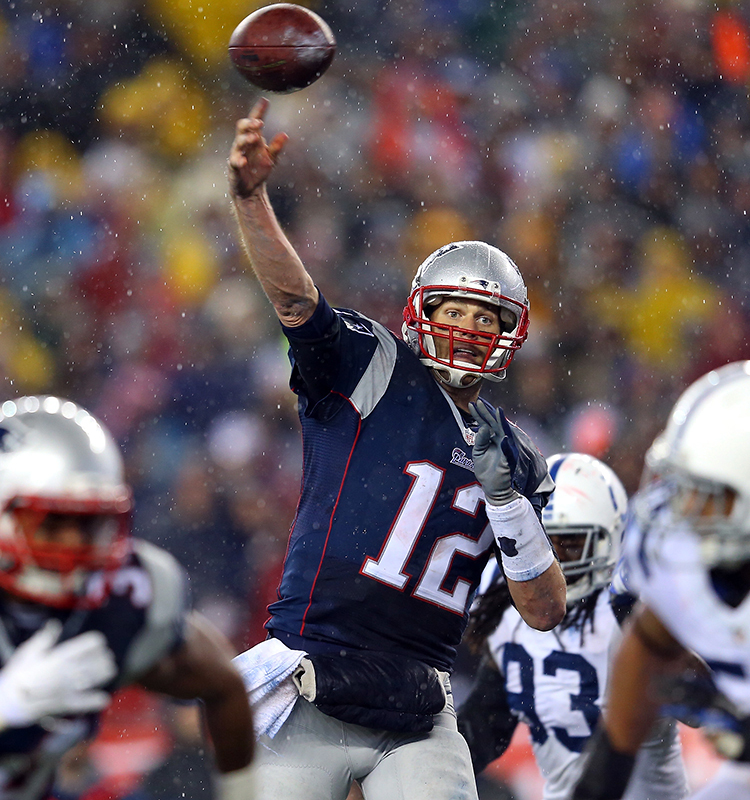 Time after time over the past decade, Brady has helped the Patriots pull victory from the jaws of defeat. The final reason that Brady makes my team of five is that in a competition such as this when no one knows the rules of engagement, you need someone who is willing to cheat — and get away with it. Whether it’s deflated footballs or using information gathered from hidden cameras, Brady is the kind of competitor who will do ANYTHING to give his team an edge. And no edge is too small or insignificant for Brady. In a do-or-die competition, I want that person on my team. You would, too. There may be athletes whose metrics and analytics are more impressive. But in the rough-and-tumble world of competition, where the rules are unknown and the nature of competition uncertain, throw analytics out the window. You can’t coach height, so I would bring a giant to this uncertain competition with its unspecified rules. Which giant? 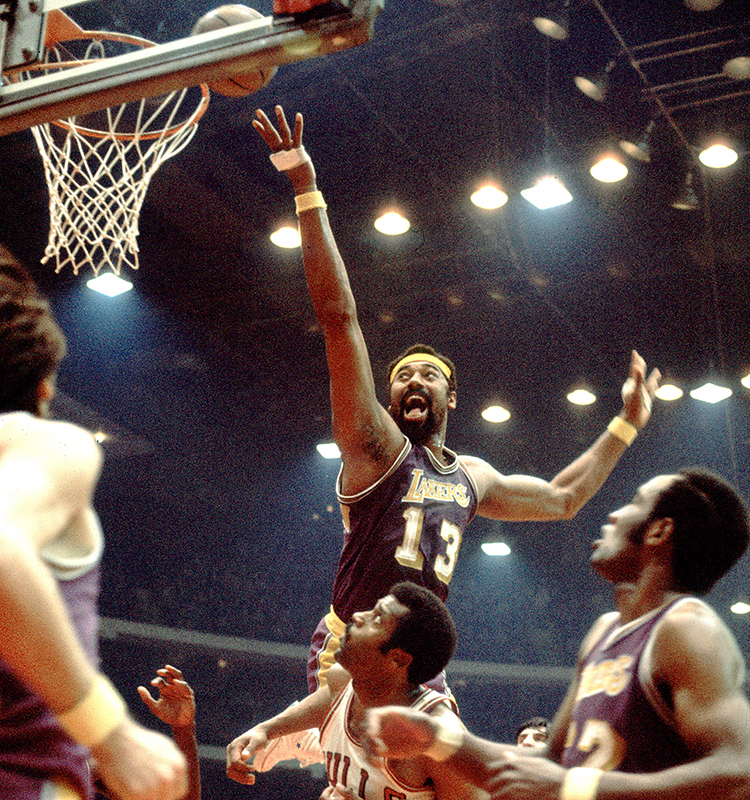 Wilt Chamberlain, hands down. Chamberlain was by far one of the biggest, strongest and most versatile big men ever. Besides being one of the most dominant centers in NBA history, Chamberlain was a track and field star in high school (the high jump) and later in life became a very good beach volleyball and tennis player. Chamberlain actually agreed to fight Muhammad Ali in 1971 at the Houston Astrodome but pulled out because he signed a new contract with the Los Angeles Lakers. Ali would have won, no doubt, but I would have given Chamberlain a puncher’s chance. On a side note, Chamberlain once achieved notoriety by claiming that he had slept with thousands of women. Just in case sexual prowess was on the agenda of this competition, I’d add the Big Dipper. I’m usually torn between Serena Williams and Jackie Joyner-Kersee regarding who I believe to be one of the greatest athletes of all time. I go with Williams because I already have two well-rounded all-around athletes in Jim Thorpe and Jim Brown. Williams is the most competitive athlete I’ve come across; this includes Michael Jordan, Kobe Bryant and Bill Russell. Williams hates to lose and is one of the few top-tier athletes who actually gets better when she is enraged or feels slighted. She loves to compete and has a competitive instinct that is unsurpassed. You recall the moment at the U.S. Open in 2014 when she approached and threatened the quivering lines judge. This is not the kind of footage we’d show young athletes to illustrate the virtues of being a good sport. 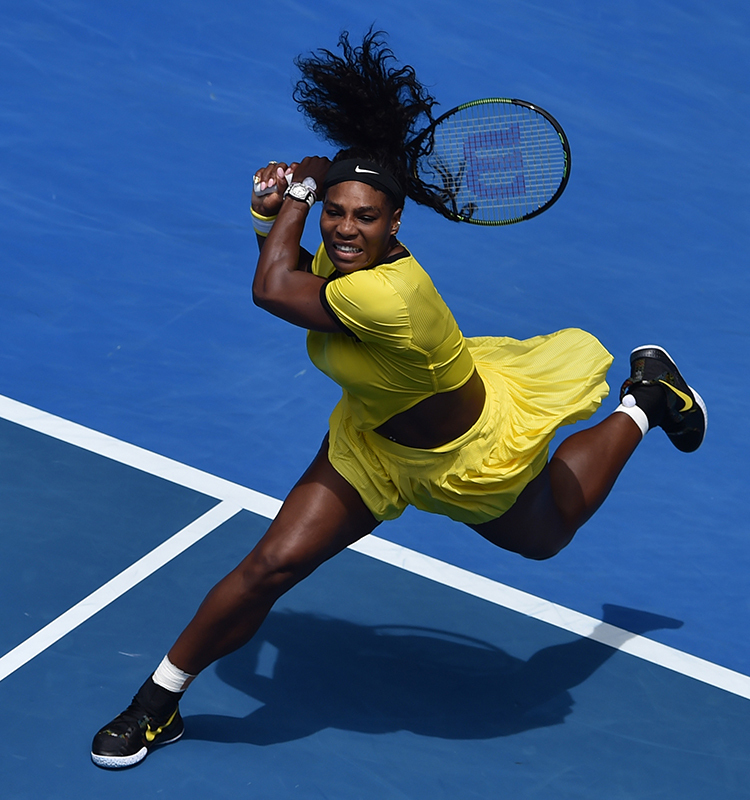 But in the real-life reality of what likely is a no-holds-barred competition, I’d want Serena on my team. I regard Jim Brown as a bigger, stronger and equally as versatile version of Jim Thorpe, to whom he would be compared throughout his athletic career. (He won the Jim Thorpe Trophy in 1958 and 1968 and shared it in 1963.) Brown generally is regarded as one of the greatest athletes of his generation, perhaps of all time. In high school, Brown won 13 varsity letters. He was an All-American lacrosse player at Syracuse University and, of course, a legendary college and professional football player. He probably could swim well enough, he could climb, and I’d bet on him to prevail if the competition required wrestling. Brown was also a cold-blooded competitor who would be well-suited for the uncertain nature of this competition. There would be no mountain too high, no valley too wide for Brown. 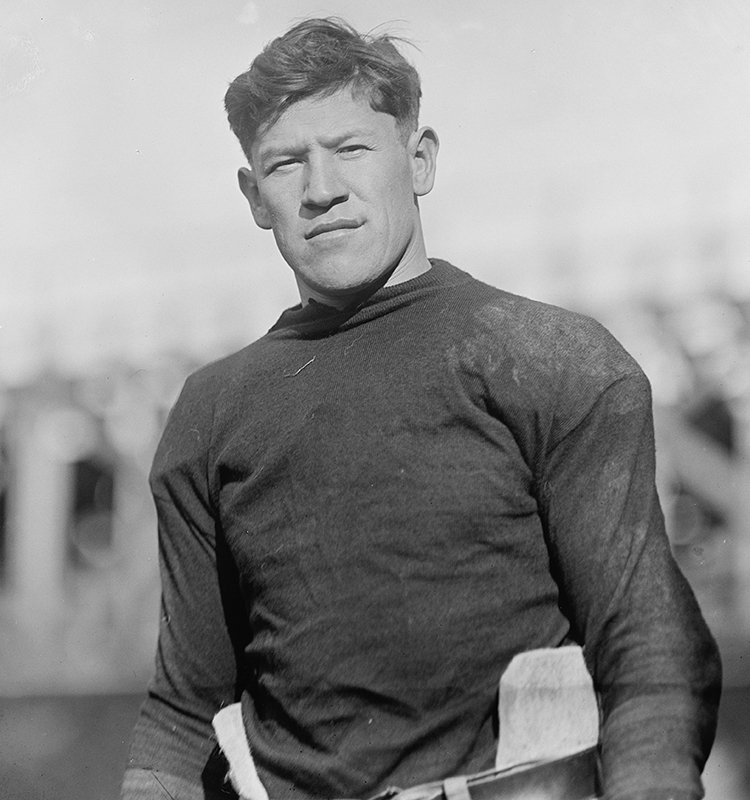 Ever since I was young, Jim Thorpe was the embodiment of the all-around athlete. We’ve all known someone like Thorpe: a natural athlete who could do anything and do it well the first time around, almost without lessons or training. Thorpe, of Irish and Indian descent, attended Carlisle Institute (the foremost American school for Indian students), where he ran track and played football for the legendary Glenn “Pop” Warner. He was a two-time member of Walter Camp’s All-American team. Thorpe competed in the 1912 Summer Olympics in Stockholm, where he won the pentathlon and the decathlon. (The International Olympic Committee (IOC) subsequently took back the medals after officials discovered Thorpe had played pro baseball in 1909 and 1910. The IOC returned the medals and restored Thorpe’s records in 1982.) 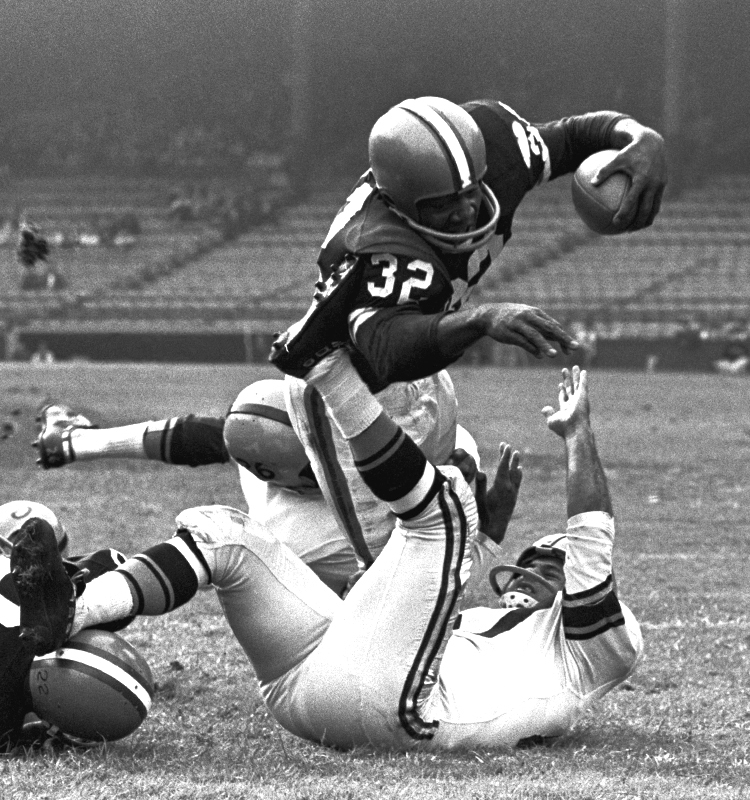 Thorpe was a catalyst of pro football when the sport was in its infancy. In 1920, he helped establish and served as honorary president of the American Pro Football Association, which in 1921 became the National Football League. In a 1950 Associated Press poll of American sportswriters, Thorpe was named the outstanding male athlete and best football player of the first half of the 20th century. I’d take Thorpe to any competition, regardless of its demands, or its rules. Greatness is defined by the intangibles: A will to win. Optimism. Perseverance. Leadership. Determination. Jim Thorpe, Jim Brown, Serena Williams, Wilt Chamberlain, Tom Brady. These are my all-time five greatest athletes. Email me with your Top 5.